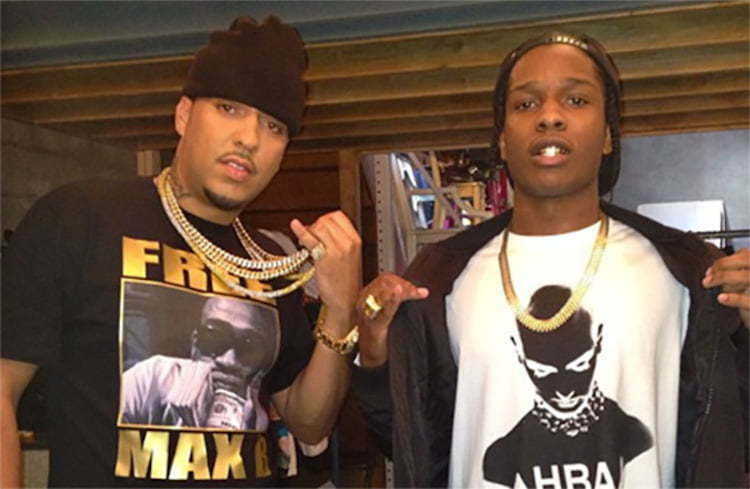 French Montana and A$AP Rocky have a joint album coming out and now we are getting some more details on the project. Sources are saying that the project started out as a single and then that turned into a mixtape and now a full-length album between the two rappers. “They had a lot of chemistry in the studio and one single eventually turned into several singles and now we have a whole entire project on our hands,” sources told Urban Islandz. We’re also told that the album could arrive before the end of the year which means late November or sometime in December. The “Unforgettable” rapper did an interview with Montreality where he first revealed that he and A$AP got a joint project on the way. “Me and Rocky got a project,” French Montana said. “[We’ll] be coming out with it real soon.” Back in August, French Montana said revealed in an interview that he and Rocky has a new single coming out and now he is saying that the pair got an entire project in the works. During his interview with Montreality, French also revealed how J. Cole almost executive produced his first album.